The City's Recreation Deparment offers a wide variety of classes and activities avaiable to Sandy's residents throughout the year. 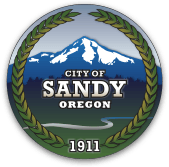 You may also find the City of Sandy Recreation Guide in multiple formats on this page, and may register for classes online here as well. The City of Sandy's public library system include the main Sandy Public Library in downtown Sandy and the Hoodland Library in Welches. Find information for both libraries on this page.